Named for the Japanese surgeon, Hakaru Hashimoto, who first identified alterations in female thyroid tissue in 1912, Hashimoto’s disease, or Hashimoto’s thyroiditis affects roughly 14 million Americans every day. The autoimmune disorder that attacks healthy thyroid tissue can render the thyroid gland ineffective in its ability to produce the proper amounts of thyroxine (T4) and tri-iodothyronine (T3) hormone, necessary for overall health and wellness. The Body’s Need for T3 and T4, What it is and How We Use it? The human body is an amazing organism able to take what it needs from nutrients and create the chemistry for optimal function. 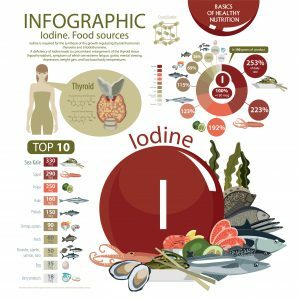 In the case of the thyroid gland, located just below the Adam’s apple, iodine is absorbed from the diet and converted to thyroid hormones T4 and T3. These are needed to regulate the body’s metabolism, temperature, mood, and weight. 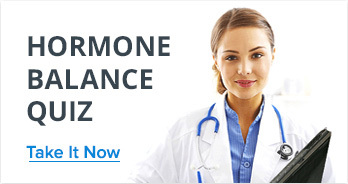 Breathing, heart rate, nervous system function, muscle strength, menstrual cycle and cholesterol levels all depend on hormones as well. When thyroid hormone is produced and secreted in the right amounts, each of the thyroid functions are said to be “in balance”. The two-lobed thyroid gland at the base of the throat creates about 80% T4 and 20% T3. Under the control of the small pituitary gland, thyroid-stimulating hormone (TSH) is produced when T4 and T3 levels drop too low. When the thyroid creates enough hormones once again, and blood levels rise, the pituitary decreases TSH production. The pituitary gland in turn, is regulated by the hypothalamus. Hashimoto’s disease essentially causes a breakdown in communication between the glands and biochemicals associated with thyroid function. In some cases either the T4 is not being converted to T3 properly, or the hypothalamus is not communicating with the pituitary gland correctly. Another possibility suggests that the pituitary gland, when signaled to release more thyroid-stimulating hormone (TSH) fails to do so. In the case of Hashimoto’s thyroiditis, the body’s very own immune system attacks the thyroid gland creating inflammation within the tissues. Here, a mass amount of white blood cells, known as lymphocytes accumulate in the thyroid gland. These lymphocytes are responsible for creating the antibodies involved in the autoimmune response. This inflammation can eventually cause the total destruction of the thyroid gland. When this occurs, the thyroid gland can no longer produce the necessary hormones the body needs to function properly. Hashimoto’s symptoms may present gradually over time, making diagnosis sometimes difficult. As individuals continue to cope with the condition, adaptations may be made to manage discomfort. Depending on symptoms, Hashimoto’s may also be mistaken for other conditions such as depression or menopause. Though many individuals with Hashimoto’s disease report no pain in the months or years leading up to the actual diagnosis, in rare cases acute neck pain can present as a symptom of the condition. Women are eight times more likely to develop Hashimoto’s disease than men. They also experience the disease differently than men as well. Hashimoto’s becomes a problem when individuals develop hypothyroidism as a result of the disease. Women may experience heavy menstrual flow or irregular periods. Some women may even have difficulty becoming pregnant as a result. Untreated Hashimoto’s disease can affect the level of thyroid hormone the unborn baby receives during a woman’s pregnancy and could possibly result in miscarriage, stillbirth, or birth defects. Untreated hypothyroidism can also lead to a number of conditions and concerns during pregnancy including preeclampsia, anemia, abruption of the placenta or postpartum bleeding. Each of these conditions can be serious, even life threatening. Hashimoto’s Disease, Who’s at risk? Thyroiditis occurs as a result of inflammation of the thyroid gland. Hashimoto’s disease is the most common cause of thyroiditis and affects roughly 5% of the adult population. The disease itself tends to run in families. There are a number of risk factors associated with the development of Hashimoto’s disease. *Post partum thyroiditis can also occur as a result of giving birth, and may develop slowly over the year following. With proper treatment however, Hashimoto’s usually resolves over time, and thyroid levels return to normal. It is not known definitively why the body’s own immune system attacks an otherwise healthy thyroid gland. Medical research indicates however, that Hashimoto’s disease is likely caused from a combination of both genetic and environmental factors. Some theories exist that suggest either a microbe, bacteria or virus enters the body and triggers the immune system to attack healthy thyroid tissue. Genetic variations passed from one generation to the next are thought to be responsible as well. Aging may also be a factor in the development of Hashimoto’s disease. How do I know if I have Hashimoto’s disease? Initially a physician will likely conduct a manual inspection of the neck. The physician places his hand at the base of the throat and gently palpates the thyroid gland by feeling for the size, specific texture and any nodules or masses located on the gland. In order to accurately diagnose Hashimoto’s disease however, the doctor or other medical practitioner will likely order blood tests including a TSH (Thyroid Stimulating Hormone) test, a T4 test, and an anti-thyroid autoantibodies blood test. 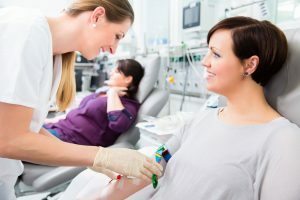 If blood tests do not support a diagnosis of Hashimoto’s thyroiditis, but a physician suspects the disease, an ultrasound of the thyroid gland may be ordered to confirm findings. While the term, “Hashimoto’s” is sometimes used interchangeably with a diagnosis of “hypothyroidism” the two are not synonymous. Although as many as 95% of all cases of hypothyroidism in developed countries can be attributed to Hashimoto’s thyroiditis, this is a specific name for the autoimmune disease that causes the hypothyroid condition. Hashimoto’s, if left untreated can manifest in many ways beyond the typical symptoms. Goiter—As the thyroid gland enlarges it can appear as if a large ball is under the skin. Because it pushes on the windpipe, it can eventually interfere with breathing and swallowing. Emotional Issues—When thyroid hormones fall below the necessary levels, depression, low libido, and mental fatigue may result. Heart Problems— In severe cases, Hashimoto’s disease can cause the heart to become enlarged, or to fail altogether. The disease may also contribute to rising bad (LDL) cholesterol, increasing the chances of heart disease. Myxoedema—Myxodema is a rare complication of untreated Hashimoto’s disease and can result in extreme sensitivity to cold conditions, hyper sleepiness, and ultimately coma. Myxodema, in severe cases can cause death. Congenital Defects—Babies born to mothers with untreated Hashimoto’s disease are at a higher risk for birth defects such as cleft palate, or organ defects. Low birth weight, premature birth, and sometimes stillbirth can result if Hashimoto’s is not properly identified during pregnancy and treated accordingly. How is Hashimoto’s disease treated? The overall prognosis for individuals diagnosed with Hashimoto’s disease is excellent. Treatment protocols may include medication for the synthetic thyroid hormone, thyroxine. This will generally be needed for the rest of an individual’s life to keep thyroid hormone levels healthy. If a goiter becomes too large however, and the airway becomes obstructed (or swallowing is difficult) surgery may be required to remove the thyroid gland altogether. Reduce stress on the body with exercise and relaxation teqhniques such as yoga or meditation. A diagnosis of Hashimoto’s disease doesn’t have to limit your life. The condition can effectively be managed through a combination of both medical and natural interventions. By making healthy lifestyle changes that support overall immune health and thyroid function, many of the symptoms surrounding Hashimoto’s thyroiditis can be reduced. 1Department of Health & Human Services. “Thyroid – Hashimoto’s Disease.” Better Health Channel, Department of Health & Human Services, 6 Dec. 2011, www.betterhealth.vic.gov.au/health/conditionsandtreatments/thyroid-hashimotos-disease. 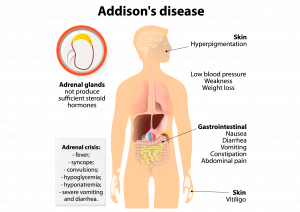 2“Hashimoto’s Disease.” National Institute of Diabetes and Digestive and Kidney Diseases, U.S. Department of Health and Human Services, 1 Sept. 2017, www.niddk.nih.gov/health-information/endocrine-diseases/hashimotos-disease. 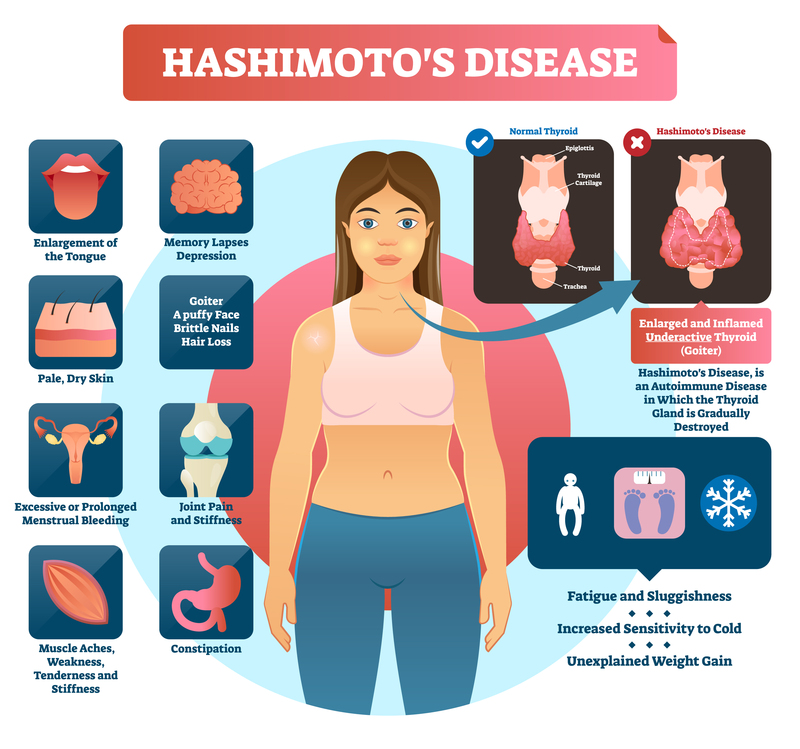 3“Hashimoto’s Disease.” Womenshealth.gov, 18 Oct. 2018, www.womenshealth.gov/a-z-topics/hashimotos-disease. 4“Hashimoto’s Disease Case Study.” Morgan Brenner, u.osu.edu/hashimoto/differential-diagnoses/. 5“Home – PMC – NCBI.” Current Neurology and Neuroscience Reports., U.S. National Library of Medicine, www.ncbi.nlm.nih.gov/pmc/. 6“Radiation and Your Health.” Centers for Disease Control and Prevention, Centers for Disease Control and Prevention, 19 Aug. 2010, www.cdc.gov/nceh/radiation/hanford/htdsweb/guide/thyroid.htm. 7“Thyroiditis.” Department of Medicine | Georgetown University, medicine.georgetown.edu/Thyroiditis.